Damaged tooth? A dental crown can give your damaged tooth a second chance. Dental crowns offer many benefits, which makes choosing a dental practitioner who offers them a fabulous idea. Dr. James Bourne at Eagle Dental in Homer, AK, offers a full range of dental services. 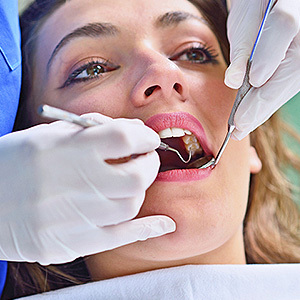 Read on to find out how dental crowns restore damaged teeth. 1. Repair broken teeth- Fracturing a tooth is extremely common. Although enamel is very strong, its strength has limits. A fall or biting on something hard can cause a tooth to break. A crown acts as a strong covering for a tooth that has been fractured. If you have a fractured tooth, a dental crown can cover it and restore its shape, appearance, and strength. 2. Protect teeth from damage- Dental crowns are tough like tooth structure and able to withstand wear and tear. Crowns can protect your weak or damaged teeth from further damage. The structural design of the dental crown allows it to protect your tooth from every angle while keeping the root preserved. 3. Restore decayed teeth- Tooth decay is the destruction of tooth structure. Causes of tooth decay include frequent snacking, poor oral hygiene, and drinking sugary beverages. If tooth decay is not treated quickly, it can result in tooth loss. Dental crowns are used to restore teeth that are badly decayed. Any dental decay is removed by your Homer, AK, dentist, and the dental crown is placed over the tooth strengthening it and restoring functionality. 4. Strengthen your teeth- With dental crowns, you can have a smile that's both strong and beautiful. Crowns are known for their extraordinary strength and durability. Metal crowns are made from dental alloys and known for their exceptional durability and great strength. Porcelain-fused-to-metal and all-porcelain dental crowns are also strong and produce pleasing aesthetics. 5. Fix badly shaped teeth- When you have badly shaped teeth, it can make you feel embarrassed about your smile. Dental crowns are effective in covering up dental flaws and giving people the appearance of a perfect smile. Dental crowns are routinely used to repair badly shaped teeth. Dental crowns can straighten your misshapen or crooked teeth without the hassle of braces. 6. 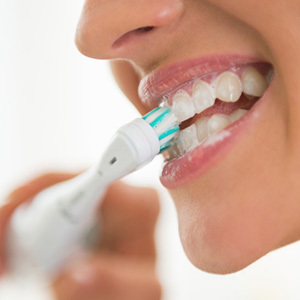 Restore your oral function- It's very difficult to chew food when you have damaged teeth. Dental crowns will improve your ability to chew food, restore the structure of your damaged teeth, and you will be able to eat whatever you want with confidence and in comfort. If you need a dental crown, why wait? Start your journey today! Call Eagle Dental at 907-235-8574 today to schedule a dental consultation in Homer, AK. Dental crowns will give you your smile back and restore your self-confidence.